From our wooden kitchen stools range, our white wooden bar stools are the epitome of luxurious seating. White wooden bar stools lend themselves to both modern and contemporary seating. They’re a beautiful addition to any kitchen design and are an extremely versatile seating option. Each kitchen bar stool is manufactured to the highest of standards and with HC Supplies, you know you’re buying quality. Why not browse through our entire kitchen bar stools range and see just exactly what we have to offer! You’ll find stunning vintage bar stools and easy to store folding bar stools making up our white wood bar stools range. We ensure that our white wooden bar stool range is ethically sourced. 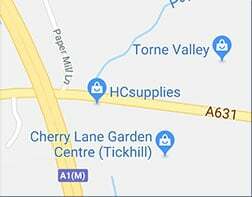 This means you’re buying from a sustainable supplier and one that cares immensely about our environment, something we’re incredibly proud of here at HC Supplies. When it comes to a bar stool that takes the best of traditional seating and brings it into the 21st century, look no further than our white wood bar stool range. Why not come to our showroom in Doncaster, South Yorkshire and sample for yourself our white wooden bar stools and all of our other exciting bar stool ranges. You’ll find plenty of design inspiration here plus a team of experienced staff to answer any questions you may have. Our entire white wooden bar stools range is available for quick delivery and could be with you in just 7-10 working days!